We provide effective, reliable and affordable legal services to assist clients manage and conclude their legal disputes. O’Sullivan Legal is a client focused and results driven legal practice. Areas of practice include family law disputes, criminal law matters, family law appeals, criminal law appeals, commercial law and litigation. In family law when a relationship breaks down, who you choose to guide you through the legal process and stand up for you can have a significant impact on your future relationship with your children and your finances. We have extensive practical and personal experience to assist our clients get outcomes they want. If you have a matter with the Police we can help you. We will thoroughly, effectively and strategically prepare your case for hearing and trial. Having an effective and reliable lawyer on your side can make an immediate difference in your life. When it comes to commercial law, we have a wealth of experience to complement our practice. Our goal is to provide you with legal services second to none. 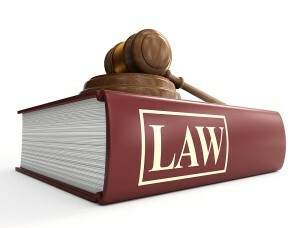 In the provision of legal services we strive for excellence. Ben was recommended to me after my previous legal counsel made a mess of my Family Law case which degenerated into the complicated and protracted and expensive nightmare ever. I can’t recommend Ben highly enough after he helped me bring a bitter four year child custody and property dispute to a speedy conclusion. Ben’s a straight shooter who takes the time to listen and understand what’s going on and knows how to achieve results quickly. He delivers good value for money. Thank you for saving my life last year when you got me out of gaol and on bail. Being in gaol was the unpleasant experience of my life and you saved me, I can’t thank you enough. I was a client of O’Sullivan Legal during my family law matter. Ben O’Sullivan is very approachable and he made me feel respected and listened to – which helped me feel more at ease during the challenges of court. Ben has a brilliant legal mind, and operates with the upmost professionalism. He is also a father himself, and throughout my entire family law matter Ben displayed a genuine care and dedication to achieving a positive outcome for me and my children. Ben is an experienced legal professional with a strong eye for detail. We couldn’t have achieved such a positive outcome for my kids without Ben helping our family. Thank you so much Ben! !